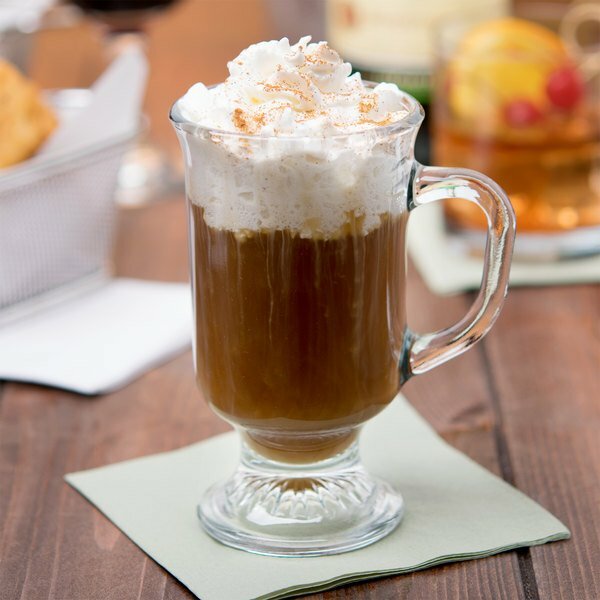 Help your customers relax after a long day with an Irish coffee at your hotel, restaurant, bar, or catered event. This Anchor Hocking Oneida 308U 8 oz. Irish coffee mug is the perfect addition to your collection. It sits on top of a decorative high pedestal foot, and features a handle for easier grasping. I have purchased many of these and have never had any issues with quality in them. They are fantastic little glasses and will continue to use them as needed. These are nice, unique glasses for the price. They are relatively sturdy, and are the perfect size for Irish coffee. We had an issue with a few glasses breaking during shipping, and customer service was very prompt in responding and helping with the problem. A great mug to serve our small size frozen hot cocoa. The glass is made of very thick walled glass. They are easy to handle and are great for our Irish style coffees as well. 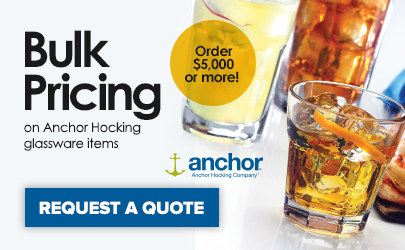 A great durable coffee glass from Anchor Hocking. These hard to find glasses are perfect for flavored coffee drinks, and make for a nice presentation! This Anchor Hocking 8oz. Irish Coffee Mug has a very nice look. The handle keeps the heat off of your hands and the design goes great with hot beverages at any type of catering event. These glasses are the perfect answer to the hot drink question. They are durable and easy to clean. They present all hot cocktails beautifully. They are affordable and will be purchased again when we are in the need for more hot drink glasses. These totally impressed me at the price point. Good weight and feel to them and pretty much no inconsistencies glass to glass. They were pretty much all perfect. They are also very good looking. 5 stars. This mugs are perfect for to serve coffee or tea in. I love the look they give off. It's classy and elegant looking perfect for the cafe. 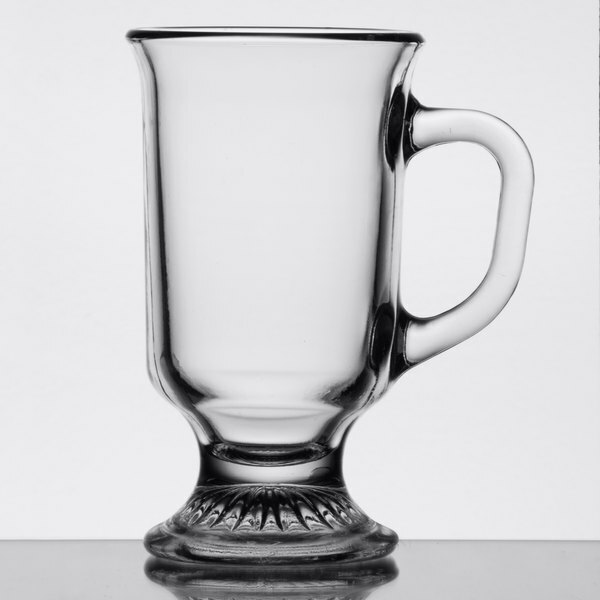 This 8oz Irish Coffee mug is great for serving small hot drinks, like lattes or hot chocolates. It has a very appealing design and is easy to grip. It has a nice weight to it and feels like it will hold up well to daily use. The Anchor Hocking 308U 8 oz. Irish coffee Mug. Is great for using woth capachino's, or moco's.We love them they add the added special look to any table, with special coffee's. The handle make's it extra nice.